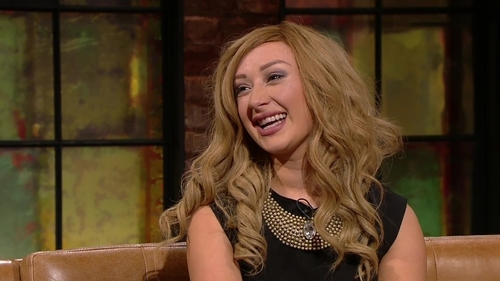 Laura Brennan's family said that she was "a light in the life of everyone who knew her"
Laura Brennan, one of Ireland's leading patient advocates and HPV vaccine campaigner, has died. She had cervical cancer and died today at University Hospital Limerick, Dooradoyle according to a statement from the HSE. Ms Brennan’s campaigning has led to a surge in the number of young women taking the HPV vaccine. The HSE said that since she first contacted the organisation in 2017, the uptake of the vaccine increased by almost 20 percentage points from 51% that year, to 70% today. The Brennan family said Laura was "a light in the life of everyone who knew her; a wonderful daughter, sister and friend. We are lost without her." The family said they were all incredibly proud of the work she did in the last 18 months to help protect other young women like herself from the cancer that has taken her life. Minister for Health Simon Harris paid tribute to Ms Brennan, who was 26-years-old. In a statement, he said that despite her illness Ms Brennan continued her advocacy and the uptake of the HPV vaccine has increased among young women. The Interim Director General of the Health Service Executivealso paid tribute to Ms Brennan. In a statement, Anne O’Connor said: "We are all deeply saddened to learn of Laura's death, and we feel immense gratitude and admiration for her and her family. "Laura has defined courage and generosity as she supported our work to ensure girls get the HPV vaccine, and are protected from this terrible cancer."